What does financial freedom mean to you? Not having to work? Being able to afford life's luxuries without worrying about the cost? Financial security? Perhaps supporting the needy or disadvantaged? Well, if you believe and follow the conventional approach to investing then forget it! It's unlikely you'll ever be financially free because the way most people approach investing results in seven out of ten retirees ending up needing the age pension - a mere 25% of average weekly earnings - to survive. You need a different approach, and in this book expert property investor Steve McKnight reveals how to start from scratch in today's property market. This book is very short and generalist in it's content. Steve does not give any specific advice rather feeds the reader with some high level details on how to plan financial future. Also, I don't think he is truthful in his statement that you can today do exactly what people have done during one of the greatest property bull markets in Australia that we had from 1999 to 2005. Just consider that Steve is not investing his own money in Australia, but instead purchased the whole bunch of real estate in US. Due to general nature of the advice and the length of the book I give it two stars overall. For most property investors I would recommend to avoid it - if you are a beginner there is not enough information and if you already own a few properties then you already know more than is said in this book. 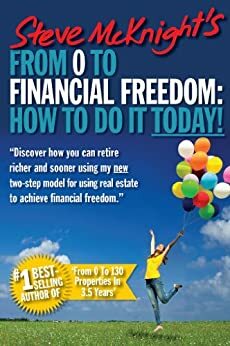 The only sound advice that is given in this book and something that you can read here for free is to have a plan for your property. Know what your objectives are and how much money you will need to feel financially secure. Make sure that you plan is long term (5-10 years to reach objectives) and realistic. I have read Steve's first book, and found this to be a mediocre second. I think that as a stand alone you really wouldn't get a lot from this, but as I have read the first it was a welcome update and addition to the first. Although it does contain some tips, I found this one less practical and inspiring than the first - and certainly it contained less content. So, unfortunately less of a fantastic read for me this time round, but a nice update given recent financial issues world-wide. 5.0 out of 5 starsThoroughly mind awakening. No massive over the top anecdotes, more about basic overviews, strategies and lessons learned from investing. Getting wealth isn't a overnight thing, it's about learning to ask the right questions, knowing where & how to educate oneself and then apply consistently the lessons you learn, never being content to rest on what you know, but to keep growing and learning. After all Life is all about growing :) good luck investing all!! This is a book by someone who has a proven track record with property, both in Australia and the US (and NZ). 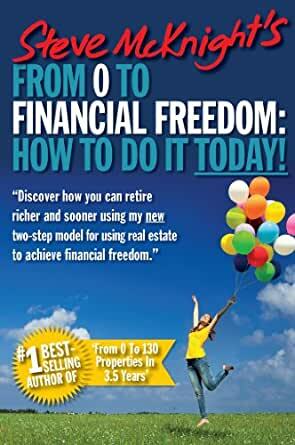 The author distils all this experience with well over 260 property purchases and brings it down to its essence. He answers the questions that others pose. He covers motivation and means. He addresses why people fail and how to avoid that. This is very easy to read and very easy to do. Thanks Steve for a brilliant book. 5.0 out of 5 starsOne For real Estate Investors! Interesting insight on new methods of making money with real estate. Steve McKnight changes with the times and isn't afraid to admit that what used to work in the past won't work so well today. Up-to-date information for the real estate investors.